Under the patronage of the Honorary President of Bahrain Business Women Society Her Highness Shaikha Thajba Bint Salman Al Khalifa, the fourth edition of the ‘Arabian Woman Fashion Expo 2019’ will be launched on Wednesday, 27th March 2019 at Moda Mall, the leading luxury shopping destination in the Kingdom of Bahrain, which houses a wide range of international fashion brands. The event, organized by Touches Events and supported by Tamkeen, will be held over a period of six days, from the 27th March until 1st April 2019. The launch will be attended by prominent ladies from Bahrain and across the GCC. The expo is the ideal platform that provides participants and visitors the opportunity to network and build new business opportunities. H.H. Shaikha Thajba Bint Salman Al Khalifa expressed her great pleasure in supporting such a distinguished exhibition. The Arabian Women Fashion Expo 2019 is expected to achieve great success due to the number of exhibitors participating during this edition. This year, more than 45 leading designers from the GCC and the Middle East have been selected to take part in the exhibition to showcase the latest trends in fashion, jewelry and home accessories, further positioning the expo as one of the leading fashion exhibitions in the region. “We extend our thanks and appreciation to H.H. 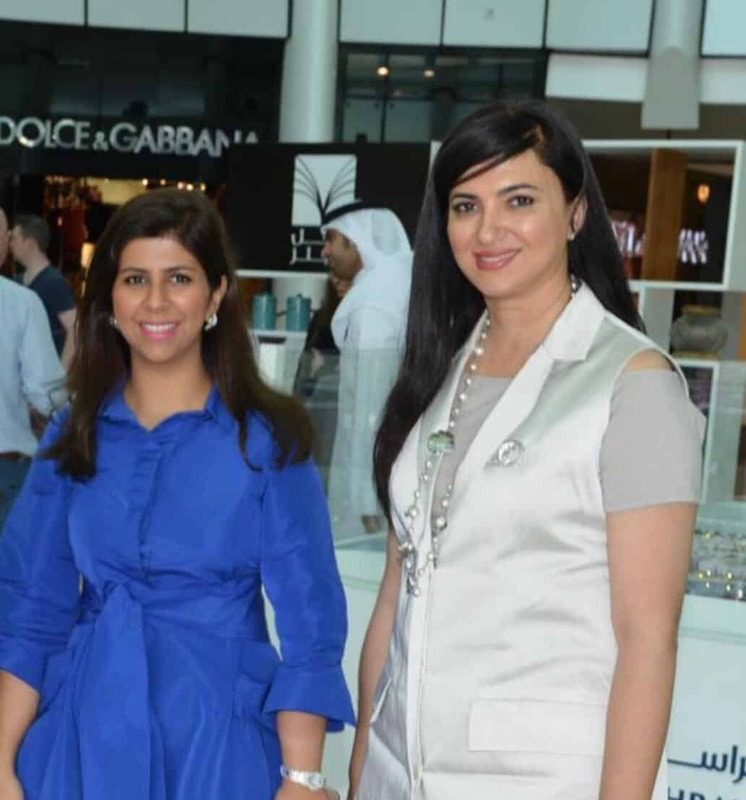 Shaikha Thajba Bint Salman Al Khalifa for inaugurating the Arabian Women Fashion Expo 2019 and for her support, further enhancing the role of women in Bahrain and the GCC in the entrepreneurship field and significantly contributing to the development of the private sector,” commented the managing partners of Touches Events, Ms. Deema Yusuf Murad and Ms. Wassan Ebrahim Busaad. “We would like to extend our gratitude to our Diamond Sponsor, Bin Faqeeh Real Estate Development Company, the Gold sponsor F7 , also our Silver Sponsors, Mattar Jewelers and Sash Spa, in addition to our Strategic Partners, Tamkeen, CrediMax, YQart and Bahrain Business Woman Society and all those who have contributed to the success of this prestigious exhibition,” Ms. Murad and Ms. Busaad added. “Back in 2016 we were discussing about the market of Bahrain, consisting of a very educated society and with a lot of potential for tourism. People visit us from Saudi, Kuwait and UAE during Expos, Spring of Culture, Jewellery Arabia and Formula 1. There are good exhibitions in GCC that target fashion and we started to think of something unique, to support local entrepreneurs and also to give back to the society. That’s how the Arabian Women Fashion Expo came alive. Every exhibitor in Arabian Woman Fashion Expo is unique. We do keep the standards high with good taste, good designing and good material. Our committee works with a ratio of abayas, jalabias, perfumes, accessories, etc. We have participants from Saudi, UAE, Kuwait, Turkey, Egypt, Jordan, Lebanon, and of course from Bahrain. The event is open to all. ” The partners of Touches Events commented. We expect that the exhibition this year will be of a great success in its fourth edition and will continue to host leading fashion designers to showcase various products ranging from clothes, perfumes and accessories. This edition will feature a variety of activities for visitors.